Instantly downloadable sheet music by Piae Cantiones for guitar solo of MEDIUM skill level. Instantly downloadable sheet music by Placide Cappeau for guitar solo of MEDIUM skill level. Instantly downloadable sheet music by Richard Storrs Willis for guitar solo of MEDIUM skill level. Alle Notenausgaben von It Came Upon The Midnight Clear zum Herunterladen bei VirtualSheetMusic. Alle Noten von Richard Storrs Willis zum Herunterladen bei VirtualSheetMusic. Miscellaneous – What Child Is This? Alle Notenausgaben von What Child Is This? zum Herunterladen bei VirtualSheetMusic. Instantly downloadable sheet music by John H. Hopkins, Jr. for guitar solo of MEDIUM skill level. Instantly downloadable sheet music by John Jacob Niles for guitar solo of MEDIUM skill level. 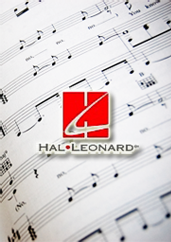 Alle Notenausgaben von I Wonder As I Wander zum Herunterladen bei VirtualSheetMusic. Alle Noten von John Jacob Niles zum Herunterladen bei VirtualSheetMusic. Instantly downloadable sheet music by Lewis Redner for guitar solo of MEDIUM skill level. Alle Noten von Lewis Redner zum Herunterladen bei VirtualSheetMusic. Instantly downloadable sheet music by B.R. Hanby for guitar solo of MEDIUM skill level. Alle Notenausgaben von Up On The Housetop zum Herunterladen bei VirtualSheetMusic. Alle Noten von B.R. Hanby zum Herunterladen bei VirtualSheetMusic. Instantly downloadable sheet music by Frederick Oakeley for guitar solo of MEDIUM skill level. Alle Notenausgaben von O Come, All Ye Faithful (Adeste Fideles) zum Herunterladen bei VirtualSheetMusic. Instantly downloadable sheet music by Mitchell Parish for bass of MEDIUM skill level. Alle Noten von Mitchell Parish zum Herunterladen bei VirtualSheetMusic. Instantly downloadable sheet music by John Goss for piano solo of MEDIUM skill level. Alle Notenausgaben von See Amid The Winter`s Snow zum Herunterladen bei VirtualSheetMusic. Alle Noten von John Goss zum Herunterladen bei VirtualSheetMusic. Instantly downloadable sheet music by Rowland Prichard for piano solo of EASY skill level. Alle Notenausgaben von Come, Thou Long-Expected Jesus zum Herunterladen bei VirtualSheetMusic. Instantly downloadable sheet music by John Troutbeck for piano solo of EASY skill level. Alle Notenausgaben von Break Forth, O Beauteous, Heavenly Light zum Herunterladen bei VirtualSheetMusic. Alle Noten von John Troutbeck zum Herunterladen bei VirtualSheetMusic. Instantly downloadable sheet music by Conrad Kocher for piano solo of EASY skill level. Alle Notenausgaben von As With Gladness Men Of Old zum Herunterladen bei VirtualSheetMusic. Alle Notenausgaben von He Is Born, The Holy Child (Il Est Ne, Le Divin Enfant) zum Herunterladen bei VirtualSheetMusic. Instantly downloadable sheet music by B.R. Hanby for piano solo of MEDIUM skill level. Instantly downloadable sheet music by John Francis Wade for piano solo of MEDIUM skill level. Alle Noten von John Francis Wade zum Herunterladen bei VirtualSheetMusic.